Dip and Read Testers for some important Pool-Spa Water Tests. Scroll down to browse through information on the line of Pool and Spa water PockeTesters. Just dip and read. These testers perform a single parameter test or multiple parameter tests, based on the particular model. 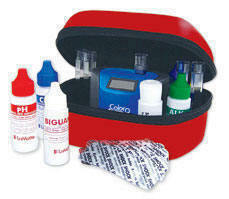 Tests include: salt, TDS, pH, temperature, ORP and total chlorine. The Website Store Directory contains an alphabetized listing of all products for sale. We don't just sell products. We help you make a better-informed choice, by providing all the information, you might require. Need ordering help? Scroll down the page, for the Order Desk Telephone Help Number. All items ordered will end up in the same shopping cart, no matter which page of this website, the items are located. All Major Credit Cards and PayPal are accepted. Order one today. 6 Models are available for pool and spa use. Scroll down the page. These PockeTester meters, are suitable for professional or home-owner use and were designed for the quality-minded user. The tester’s sensor probe is dipped into a sample of pool or spa water and the results are ready instantly. The Tracer series of PockeTesters are designed with replaceable sensors, so that more than one test factor can be performed, with each unit. The standard PockeTesters usually have replaceable sensors, but each Standard PockeTester Model can perform only a single test factor. These Electronic-digital testers can perform the following types of tests: Salt, Total Dissolved Solids (TDS), pH, Water Temperature, Oxidation Reduction Potential (ORP) and Total Chlorine. 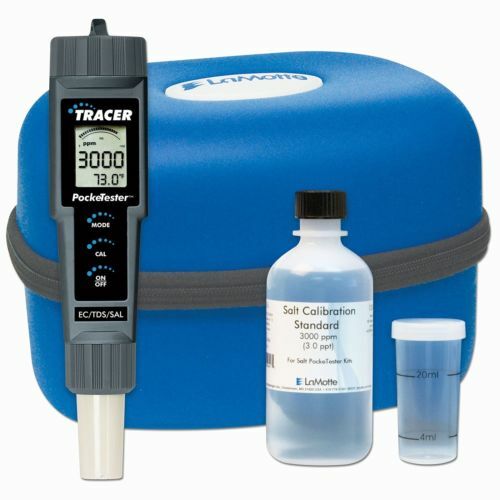 The Tracers series include a kit version, which includes a larger supply of calibrating chemicals, a waterproof carrying case and Test Strips, for performing a full range or pool and spa tests, as well as phosphates. Choose from 10 models, for every pool or spa owner or professional need. No more color-matching or guesswork. Simple pictorial directions. WaterLink SpinTouch Labs are the ultimate Testers. So simple, easy and precise. Available models: In-Store, Mobile, Commercial or Drinking Water. Occasionally, issues arise that require a more specialized test: Iron, Copper Manganese, Salt Phosphate and Biguanide/Shock. Insta-Test features a full-range of instant reading strips, from strips with multiple tests, to test strips for less common, but still important water test factors. We provide factory-fresh replacement chemicals and supplies, for every LaMotte tester, sold. for Pool and Spa use or other applications. Scroll down for PockeTester Product and Ordering Information. Scroll down for the model specifics and to place an order. This waterproof meter, is suitable for professional or home-owner use, and tests for salt, TDS and pH. The tester’s sensor probe is dipped into a sample of pool water and the results are ready instantly. The Salt PockeTester measures the Sodium Chloride level in salt water pools, within a range of 0 to 9,999 ppm. TDS is measured from 0 to 9,999 ppm. pH is measured from 0.00 to 14.0, with an accuracy of plus or minus 0.01. Changing the sensor probe, allows a different test to be performed. Stores the last 15 test results, in its memory. Item No. 1766 includes the meter, 30 ml. calibration standard and 10 each of pH 4.0, 7.0 & 10.0 buffer tablets. Item No. 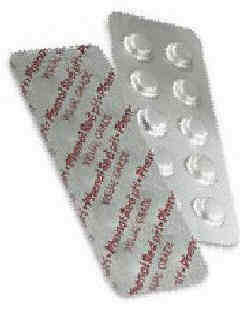 1766-KIT includes a 120 ml. calibration standard, 100 pH 7.0 buffer tablets and a carrying case. Sensors are replaceable. Factory warranty. Suitable for professional, facility operator or homeowner use. This waterproof test meter measures salt, TDS and temperature. The tester’s probe is dipped into a sample of pool water and the results are ready instantly. This PockeTester measures the Sodium Chloride level in salt water pools, within a range of 0 to 9,999 ppm. TDS is measured from 0 to 9,999 ppm and Temperature from 32.0 to 149°F. Changing the sensor probe, allows a different test to be performed. Item No. 1749 Includes the meter and a 30 ml. calibration standard. Item No. 1749-KIT includes the meter, a 120 ml. calibration standard and a carrying case. Stores the last 15 test results, in its memory. Sensors are replaceable. Factory warranty. Suitable for professional, facility operator or homeowner use. 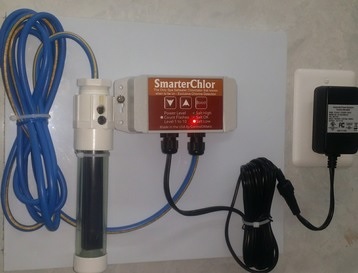 If your pool or spa uses a salt chlorine generator, this Professional-Grade Test Kit, provides all the testing, you should require. 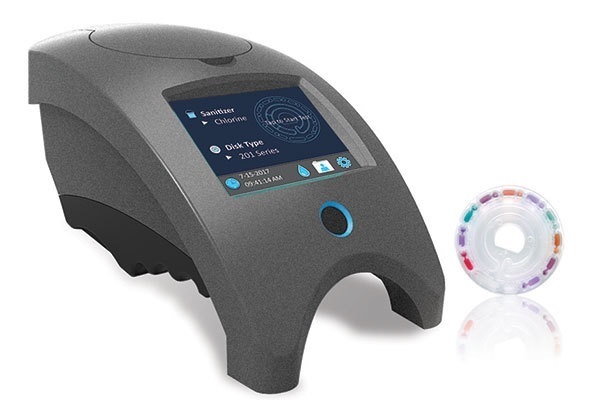 The #1749 Tracer PockeTester digitally measures salt and TDS levels, from 0-9,999 PPM and Temperature from 32-149°F. The Insta-Test PRO 600 Test Strips, contain 100 strips and tests for Free Chlorine (0-10 PPM), Total Chlorine (0-10 PPM), Bromine (0-20 PPM), Alkalinity (0-240 PPM), pH (6.2-9.0), Total Hardness (0-800 PPM) and Cyanuric Acid (0-250 PPM). The Insta-Test PRO Phosphate Test Strips contain 50 strips and measure phosphates, in the range of 0-25000 PPM. Includes a convenient carrying case and a salt calibration standard. Professional-Grade, but easy enough for home pool or spa use. This waterproof test meter measures pH and ORP (Oxidation Reduction Potential). The tester’s probe is dipped into a sample of pool water and the results are ready instantly. This PockeTester measures the pH from 0.00 to 14.0. ORP is measured from -999 mV to 999 mV. Changing the sensor probe, allows a different test to be performed. Item No. 1742 Includes the Tracer meter and the ORP Sensor only. Item No. 1742-KIT includes the Tracer meter, ORP Sensor, pH Sensor, 50 pH 7.0 Buffer Tablets, a Tablet Crusher and a carrying case. Stores the last 15 test results, in its memory. Sensors are replaceable. Factory warranty. Suitable for professional or facility operator use. This waterproof test meter measures Total Chlorine, pH and ORP (Oxidation Reduction Potential). The tester’s probe is dipped into a sample of pool water and the results are ready instantly. This PockeTester measures the Total Chlorine from 0.00 to 10.0 PPM, with an accuracy of ± 10%. pH is measured from 0.00 to 14.0. ORP is measured from -999 mV to 999 mV. Changing the sensor probe, allows a different test to be performed. Item No. 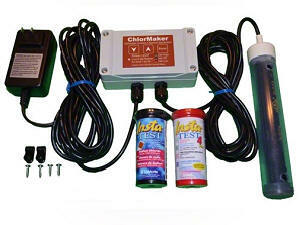 1740 Includes the Tracer meter and the Total Chlorine Sensor only and 100 Chlorine Test Tablets. The Item No. 1740-KIT includes the Tracer meter, Total Chlorine Sensor, pH Sensor, ORP Sensor, 100 Chlorine Tablets, 50 pH 7.0 Buffer Tablets, Tablet Crusher and a carrying case. Sensors are replaceable. Stores the last 15 test results, in its memory. Factory warranty. Suitable for professional or facility operator use. Free Shipping in the Continental U.S. All Major Credit Cards and PayPal are accepted. This waterproof test meter measures pH and Total Chlorine. The tester’s probe is dipped into a sample of pool water and the results are ready instantly. pH is measured from 0.00 to 14.0, with an accuracy of ± 0.01. With the optional Total Chlorine sensor, it measures the Total Chlorine from 0.00 to 10.0 PPM, with an accuracy of ± 10%. Changing the sensor probe, allows a different test to be performed. Item No. 1741 Includes the Tracer meter, the pH Sensor and 20 each of the pH 4.0, pH 7.0 & pH 10.0 Buffer Tablets. The Item No. 1741-KIT includes the Tracer meter, Total Chlorine Sensor, pH Sensor, 20 each of the pH 4.0, pH 7.0 & pH 10.0 Buffer Tablets, 100 Total Chlorine Tablets and a carrying case. Stores the last 15 test results, in its memory. Sensors are replaceable. Factory warranty. Suitable for professional or facility operator use. All prices and product specifications are subject to change without notice. Aqualab Systems, Inc. or the Askalanaquestion.com website shall not be held responsible for pricing, graphic or typographical errors. Prices do not include any applicable duty or taxes and are the responsibility of the buyer.